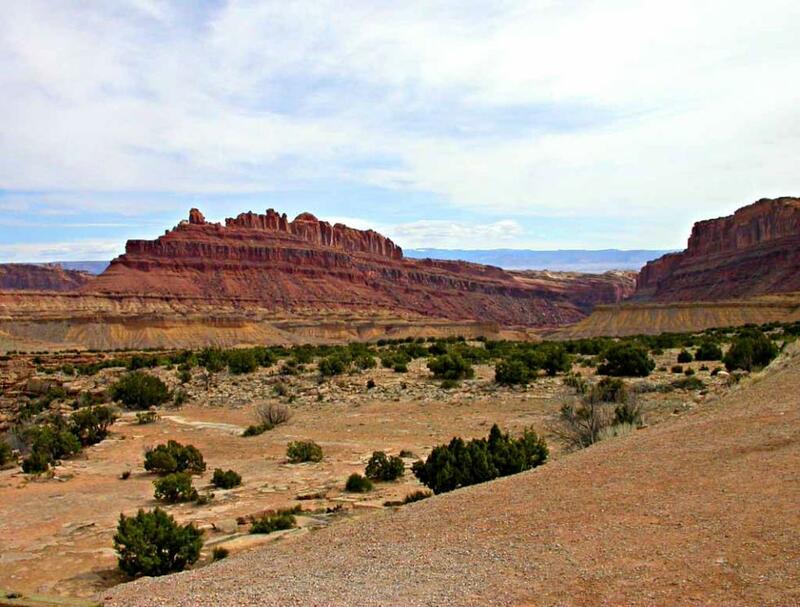 Valley State Park in Utah, USA. 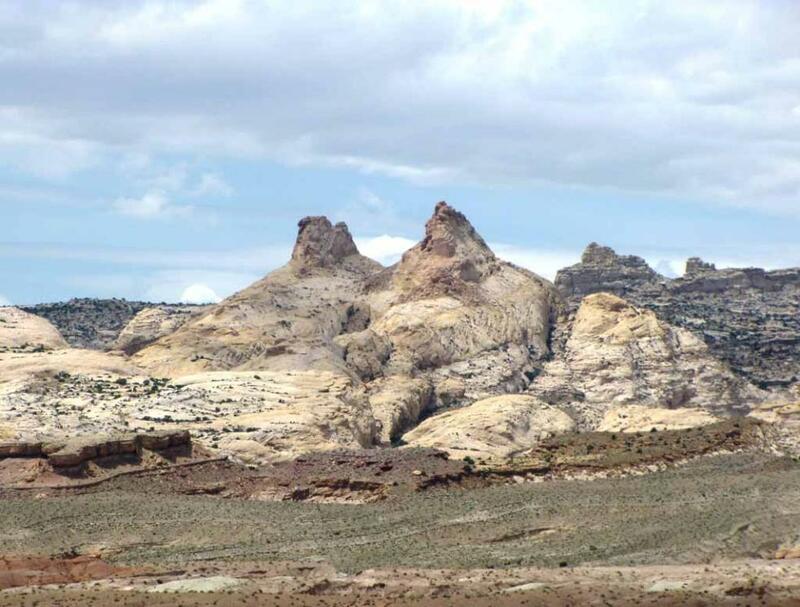 making it much easier for visitors to explore San Rafael Reef. 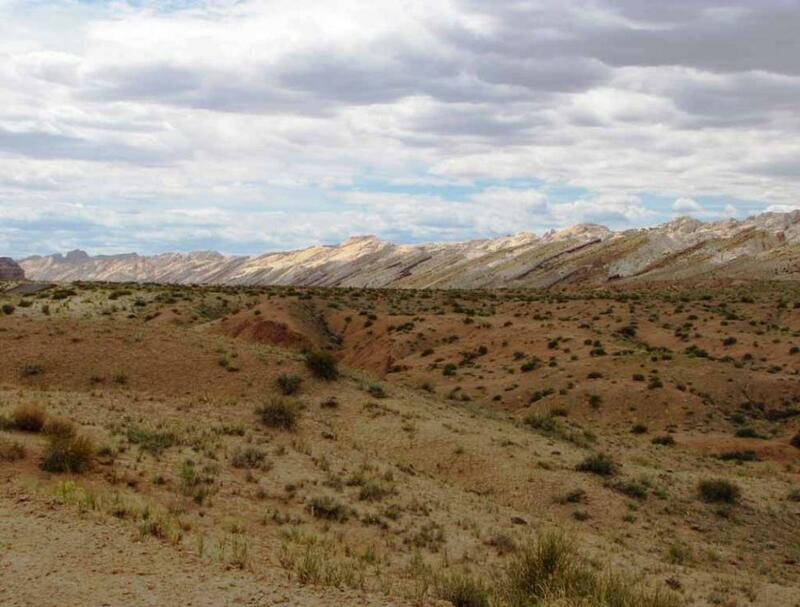 floor of the San Rafael Desert. 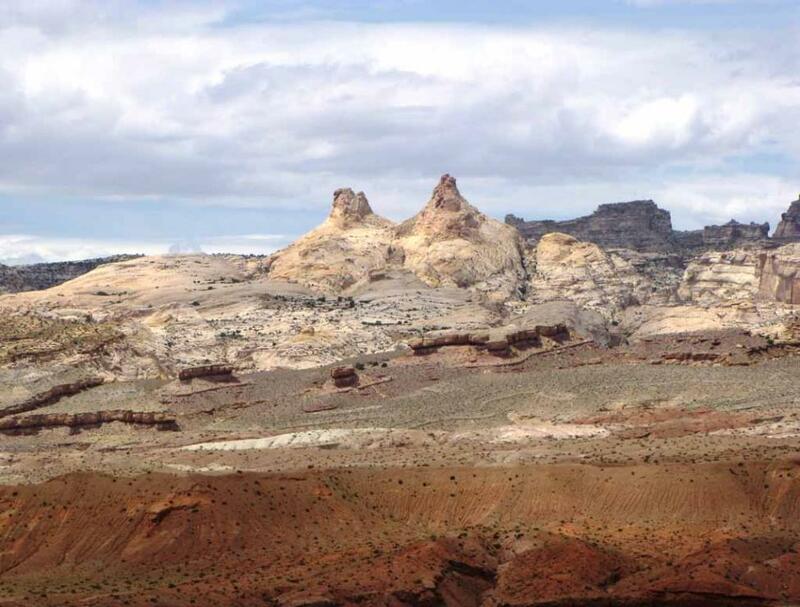 It is at the southeast boundary of San Rafael Swell. area on June 3, 2010.
canyon are necessary, but the views in the slot canyon are gorgeous as shown on the websites listed above. 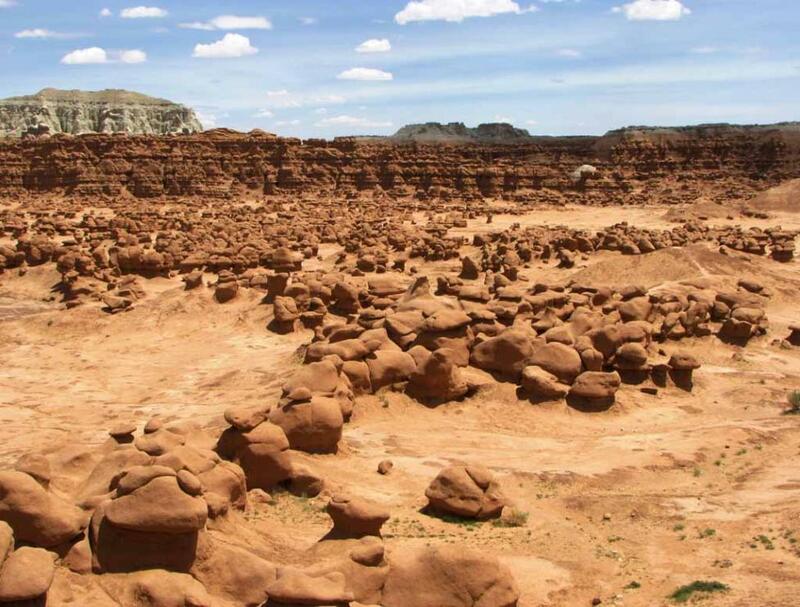 This parking lot is only about 5 miles west from the Visitor Center of Goblin Valley State Park. 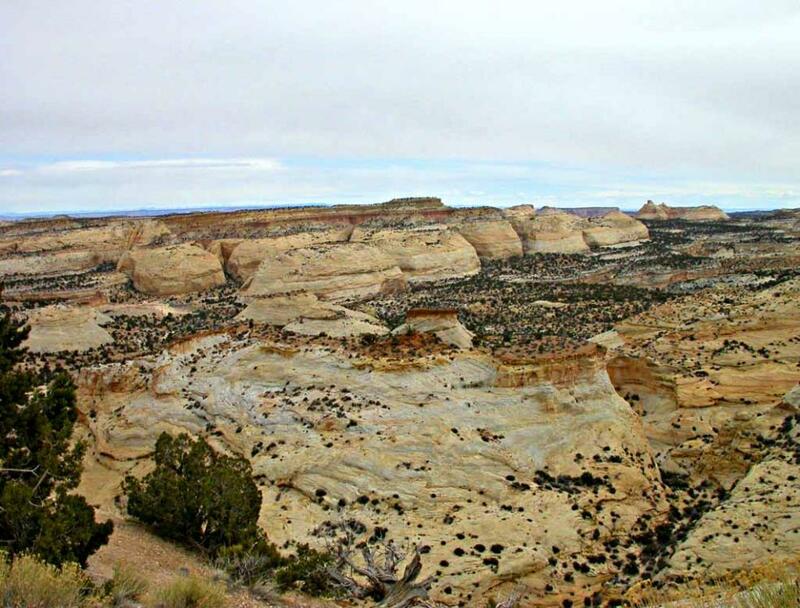 A fantastic view from Black Dragon Canyon Overlook along Interstate Highway I-70 in Utah. 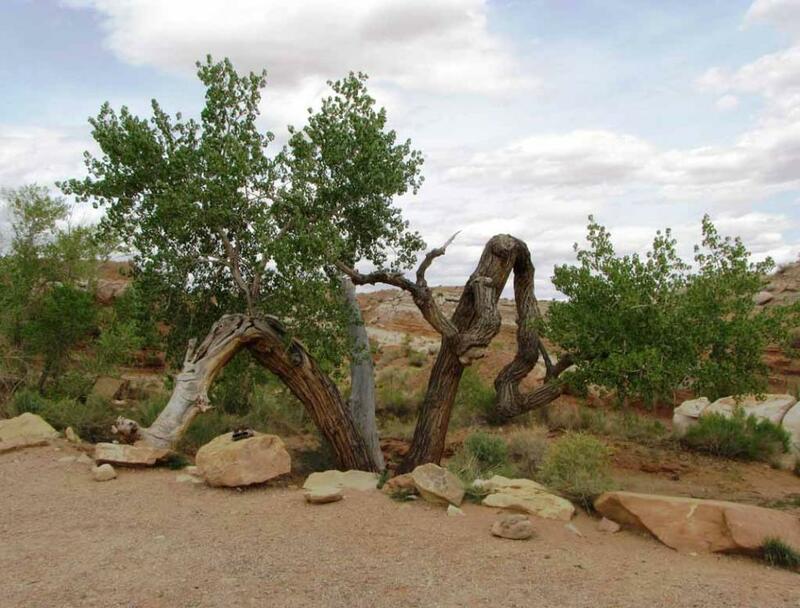 enjoy its splendor thoroughly. 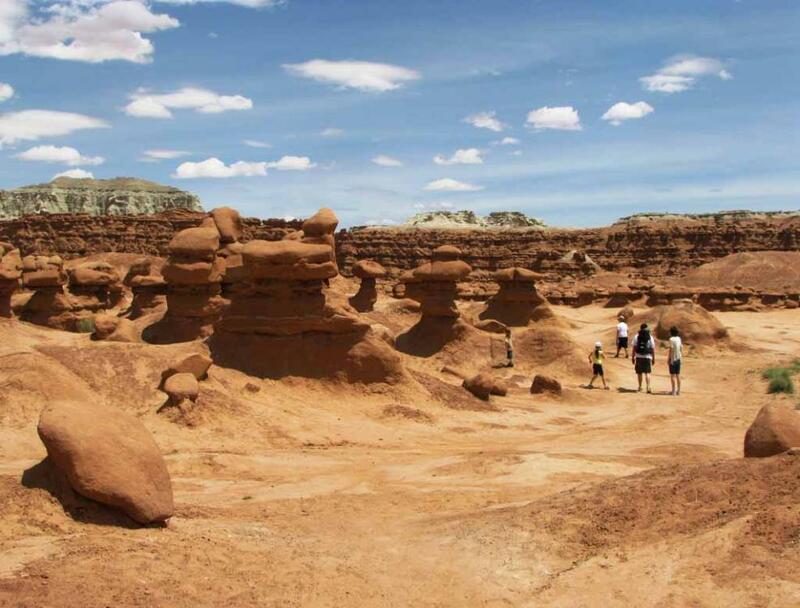 The swell goes on for miles, and there's a wonderland of eroded canyons inside. 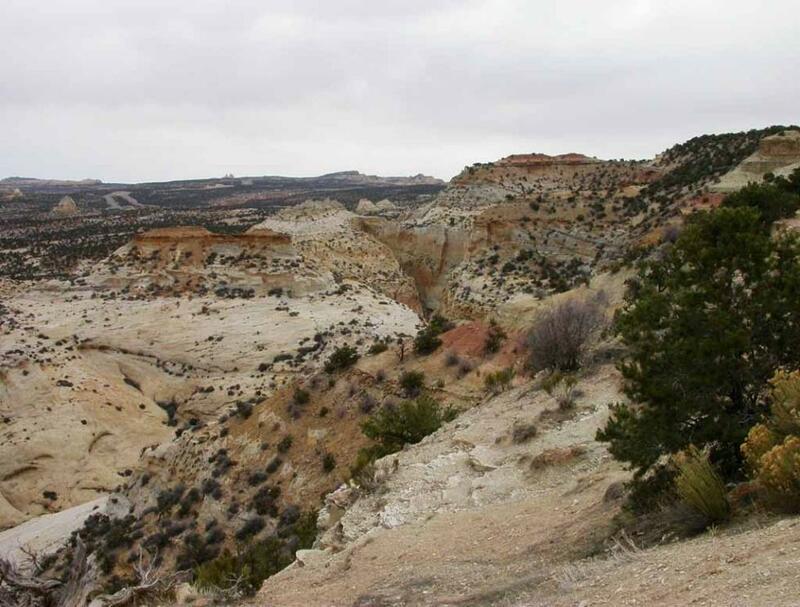 We drove through this section of I-70 in our previous trip in 2003 and took these three pictures. 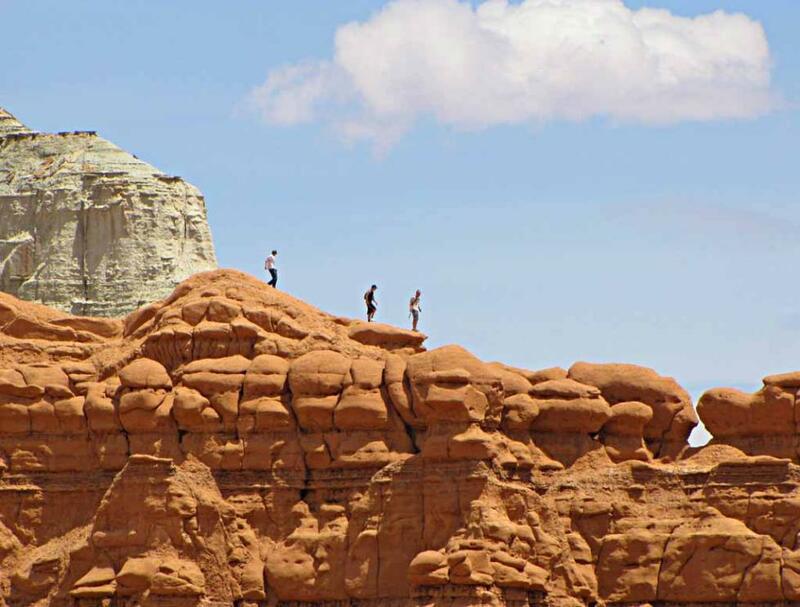 Some get up to the top of the cliffs at the edges to enjoy the thrill and fantastic views of the area. 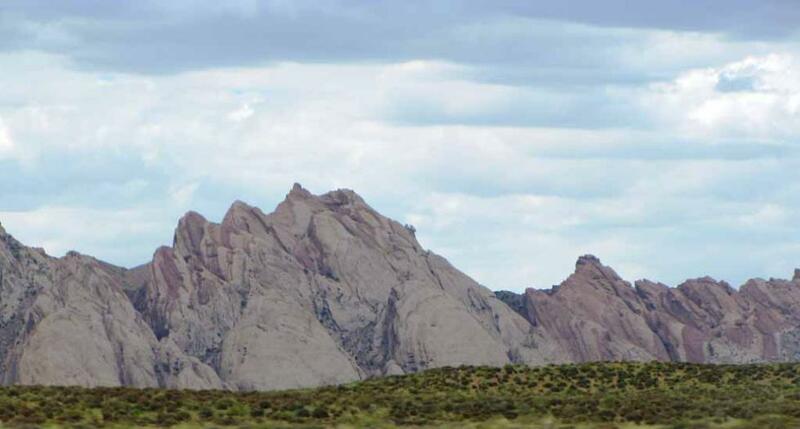 Zoom in for a closer view of some features on the San Rafael Reef. comical goblin forms that you find here. 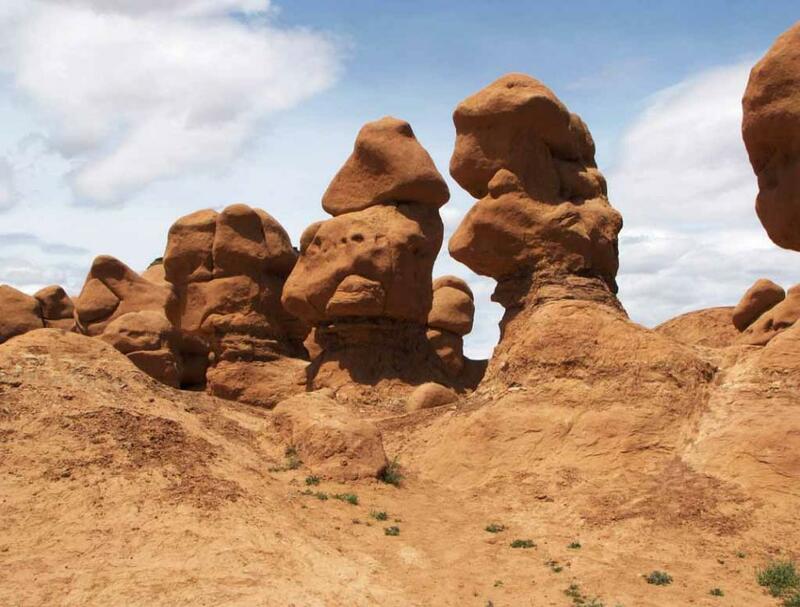 It is the best natural playground for kids. 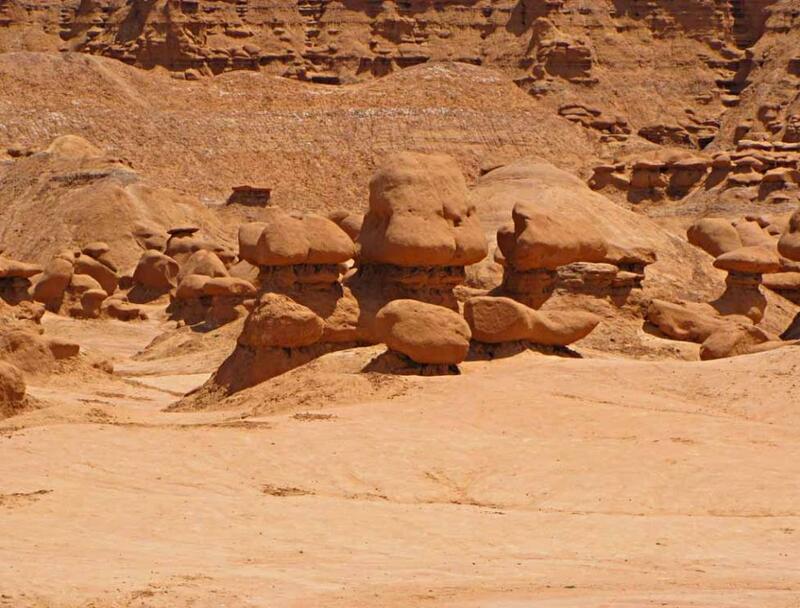 intricately eroded creatures greet visitors to Goblin Valley. 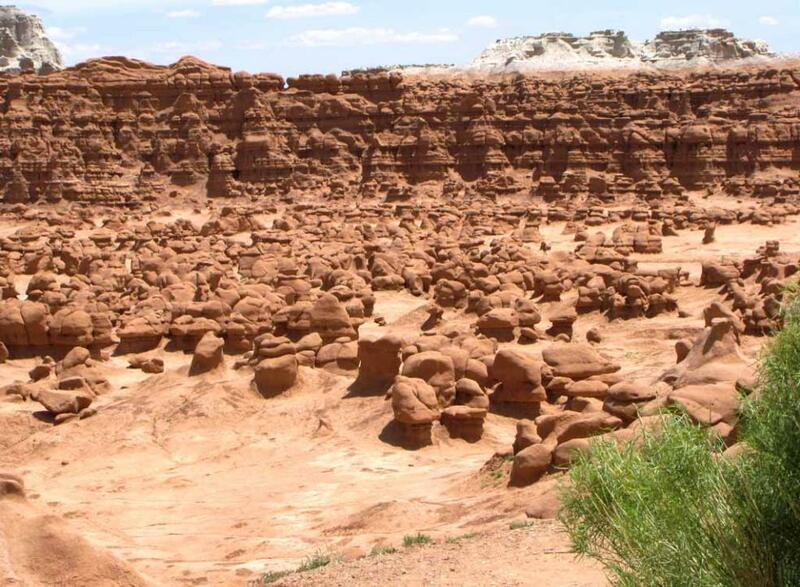 We toured Goblin Valley State Park in the afternoon of June 3, 2010 after touring Burr Trail in the morning. 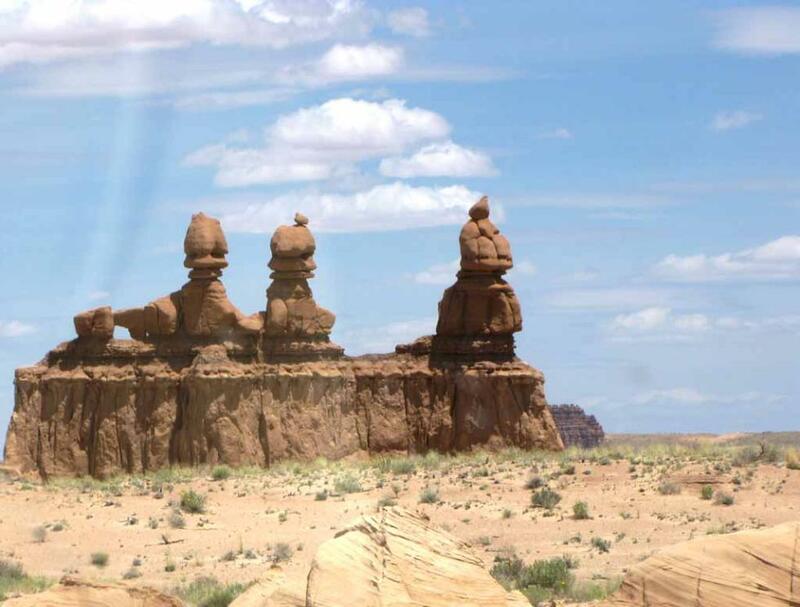 These three are near the entrance to welcome incoming visitors to Goblin Valley. 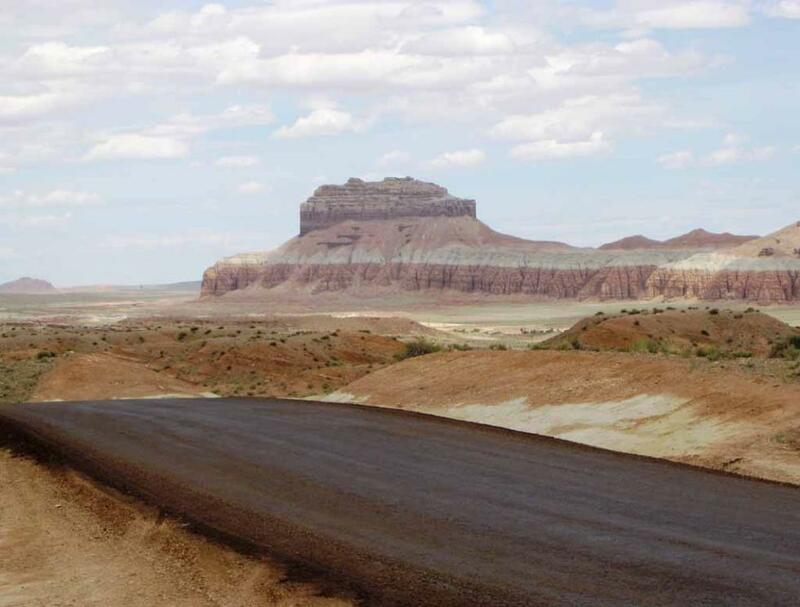 Another view of the newly paved Wild Horse Road near the San Rafael Reef. 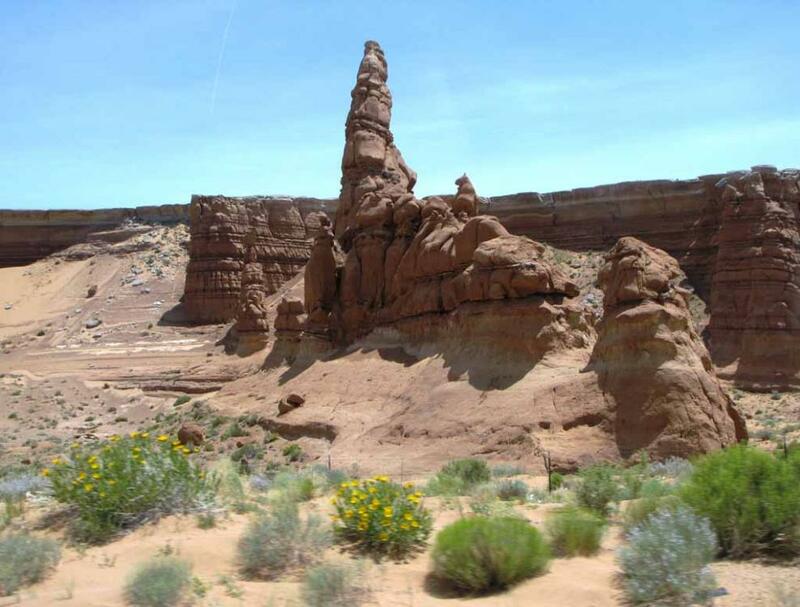 The southeastern edge, with its jagged sandstone and deep canyons, is called the San Rafael Reef. 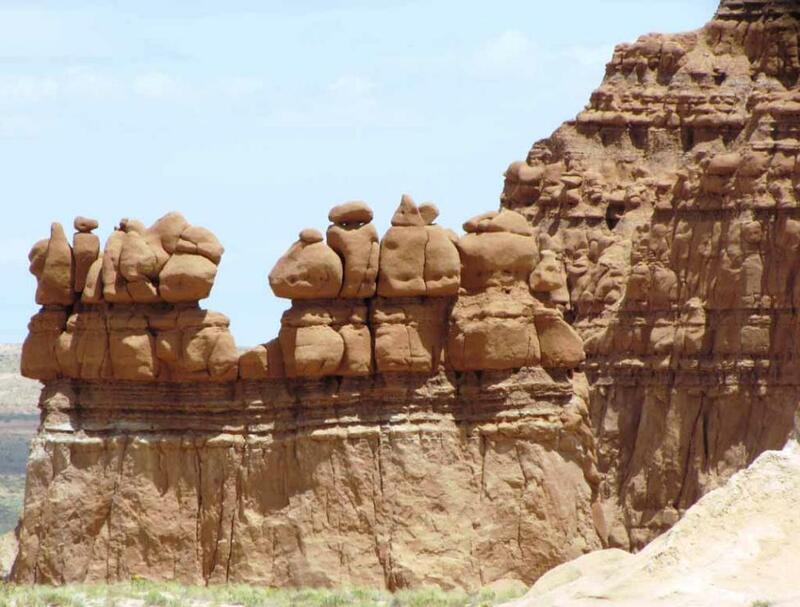 touring Goblin Valley State Park in Utah. 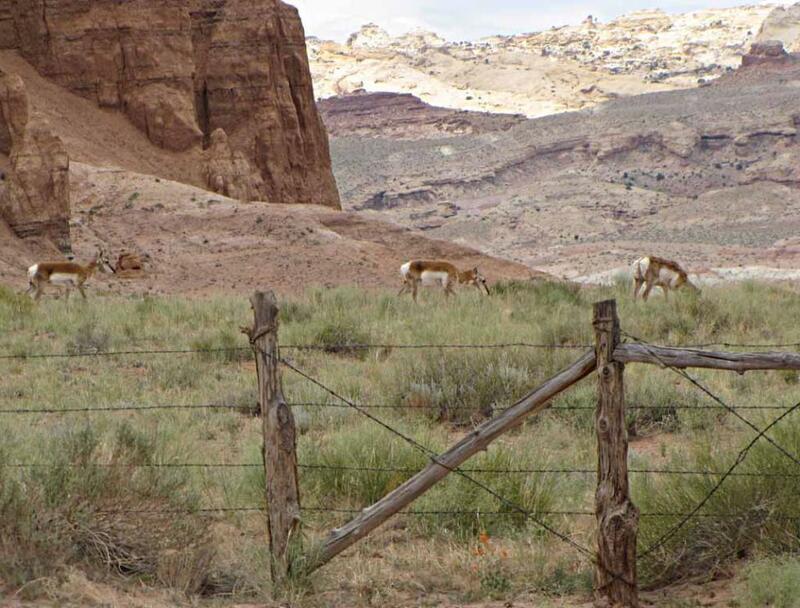 site and RV site near Goblin Valley State Park. On two occasions, a visitor spotted mountain lions high up on the cliffs watching the traffic flow past them. 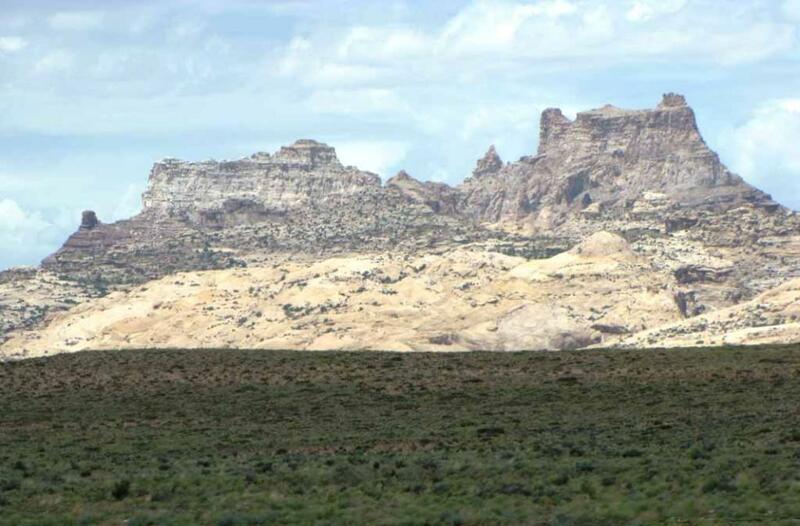 the Temple Mountain in San Rafael Swell ahead at a distance. 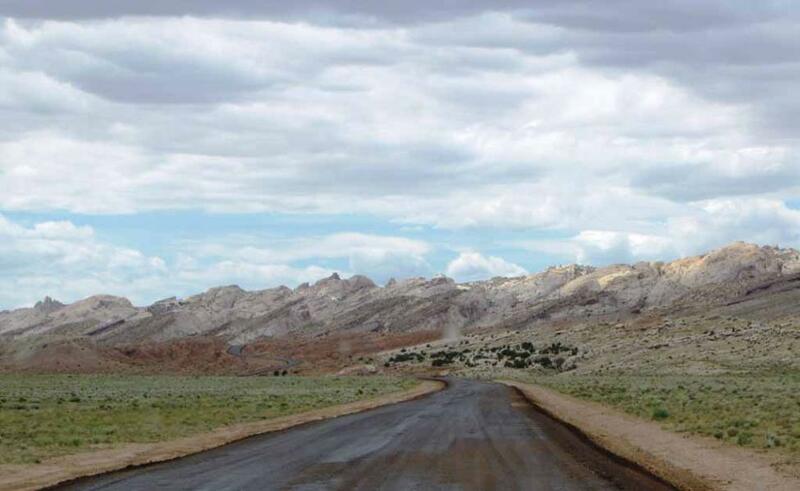 Horse Road, San Rafael Reef and Wild Horse Wash.
Jig-Saw puzzles come together, fit together nicely and make a lot of sense to me. of flash flood for touring slot canyon on that sunny day). 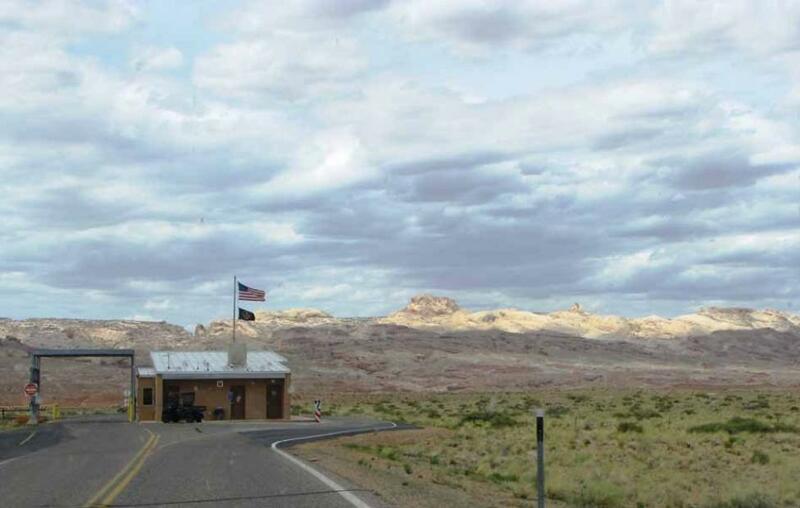 posts with key information there to guide the visitors.